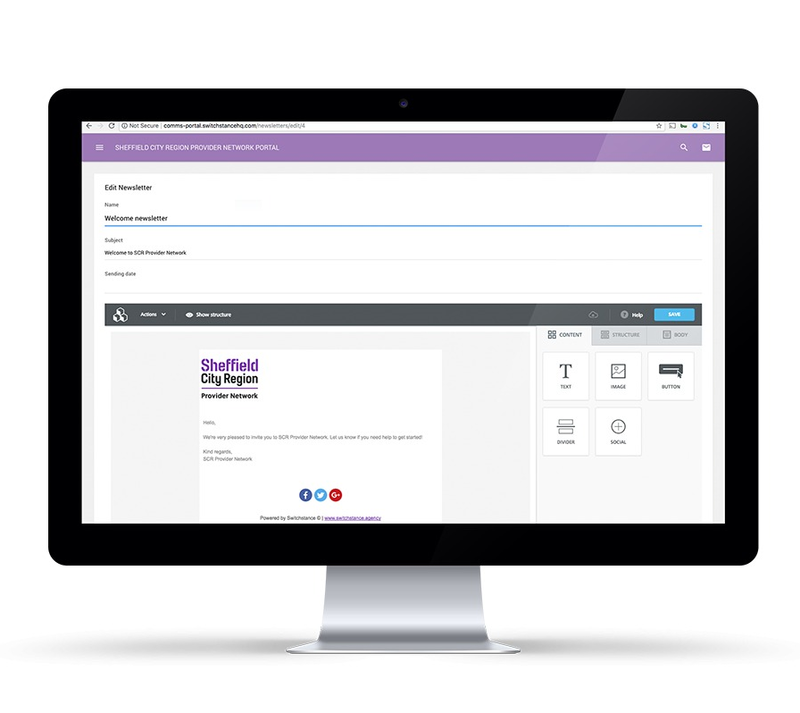 The Sheffield City Region Combined Authority (in partnership with The Sheffield City Region Provider Network Steering Group) needed a communications portal to be developed. The portal's aim was to support improved communication between the provider network ensuring best practice, news, events and activities were easily accessible. We kicked off with a workshop to fully understand the aims and objectives of the project. We then developed an online communications web application that encompassed all of the needs of the steering group. The portal allows users to tailor their experience through their choice of one or more ‘themes’. They can choose which information they want to view & receive updates on, based on their area/s of interest.